There’s no time like the summer to catch up on your reading (especially at the beach!). Here at Mochi, we love featuring up-and-coming Asian American stars and getting the scoop on the artists and entrepreneurs that everyone already loves. With that in mind, we’re sharing the debut novels of two new Asian American authors on our radar—plus how they got where they are. Happy reading! Steph Cha’s new novel, “Follow Her Home,” opens like the best of any mystery collection: “It was about ten o’clock on a Friday in mid-July, the Los Angeles night warm and dry, the only wind rising from the whoosh and zoom of traffic on Rossmore.” In this story, released this past April, amateur detective Juniper Song is a chain smoker and drinker, much like Philip Marlowe in Raymond Chandler’s works. As the sleuth is a Chandler fan, readers will find many references to his work throughout the story, but the novel holds its own as we see the grittiness of L.A. and Koreatown, and the fetishization of Asian woman through June’s perspective. While the path to publishing isn’t always (or should we say usually?) an easy path, Cha’s a great example that you can get anything you want enough. After finishing the first draft of “Follow Her Home” in late 2009, she contacted an endless number of agents and shouldered multiple rejections before finally signing with her current agent. The process took nearly two years, but once she got an agent’s support, publishing the book through St. Martin’s Press was thankfully much easier. “Southern Cross the Dog,” published in May, follows the life of a young African American boy who survives the Great Mississippi Delta Flood of 1947. 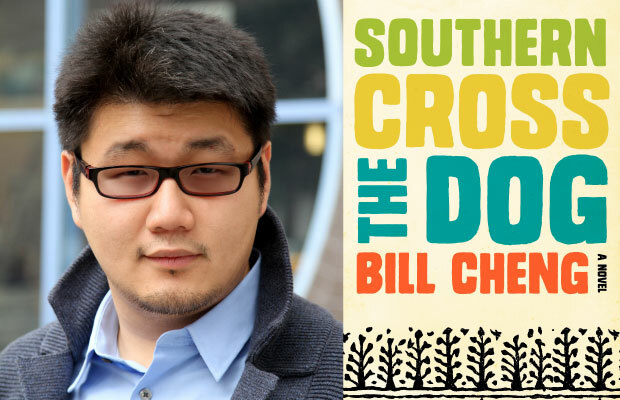 Ironically, author Bill Cheng has never been to the Mississippi himself—which is why publications like The New York Times and NPR marvel the ways in which he captures the mood and atmosphere of the South. So where did Cheng’s inspiration come from? He fosters a deep love for the blues that originated from the Deep South, which he discovered in his teens. In fact, he dedicates his novel to a long list of his favorite blues singers such as Son House, Pinetop Perkins, and Muddy Waters. Aspiring writers will be reassured to know that Cheng spent three years writing what eventually became “Southern Cross the Dog.” Throughout the process, he kept deleting parts and adding them back in—it’s not just you—but Cheng says that that’s part of the joy of being a writer. The fluidity keeps things interesting, so don’t be frustrated if you keep changing your mind.